Mid Priced Sharpening System to develop and maintain a precise edge on Fine Cutlery. System contains a stone (coarse/fine india stone)and plastic case w/reservoir for oil and 4.5oz sharpening oil. 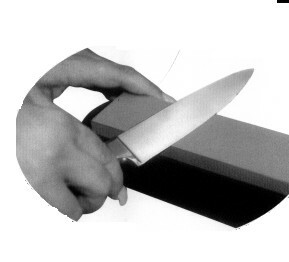 Sharpens not only your knives, but kitchen scissors,cleavers,spatulas and mincing knives.